Prakash Javadekar, Minister of Human Resource Development (HRD) will announce the NIRF India Rankings 2018 for Indian institutes at today. 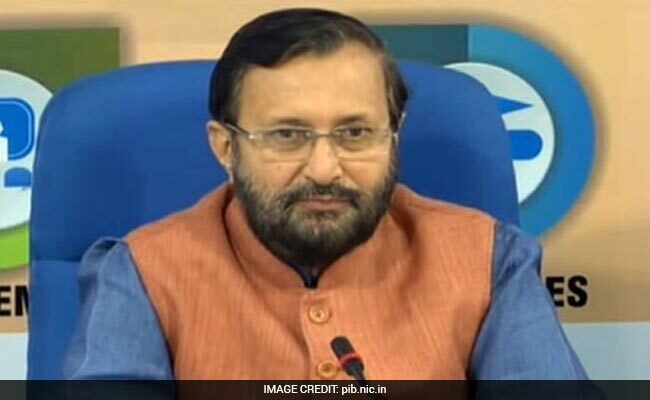 New Delhi: Prakash Javadekar, Minister of Human Resource Development (HRD) will announce the National Institutional Ranking Framework (NIRF) India Rankings 2018 for Indian institutes at Vigyan Bhawan, New Delhi at 3 pm today. The National Institutional Ranking Framework (NIRF) was approved by the MHRD and launched by Honourable Minister of Human Resource Development in 2015. The first NIRF ranks were announced in 2016. This year would be the third edition of the NIRF rankings. The parameters on which the rankings are based are - Teaching, Learning and Resources, Research and Professional Practices, Graduation Outcomes, Outreach and Inclusivity, and Perception. The rankings will be announced in 9 categories - Overall, Universities, Engineering, Colleges, Management, Pharmacy, Medical, Architecture, and Law. The Ministry of HRD had also tweeted yesterday about the announcement of 'Indian Rankings 2018'. In 2017, Indian Institute of Science, Bangalore had emerged as the top institute in the overall category. IIT Madras was the top institute among engineering institutes, IIM Ahmedabad was the top institute among management institutes, Indian Institute of Science Bangalore was also the top University in India. Among colleges, Miranda House was ranked as the top college in India, and Jamia Hamdard was ranked as the top institute for pharmacy.